Vegetables are healthy and great, but they are boring and hard to cook. Unlike protein (such as meat or fish), vegetables don’t have much flavor. In Chinese cooking, the key to cooking vegetable dishes lies in the creative use of side ingredients and sauces to bring out the taste and texture of vegetables. Chinese love leafy greens: choy sum, kai lan, bok choy, gai choy, etc. In everyday Chinese meal, there is always a vegetable dish to complement other main dishes. In Chinese or Cantonese restaurants, Chinese vegetables are often served two ways: brown sauce (flavored with oyster sauce) or white sauce–a cooking style I am sharing with you today. 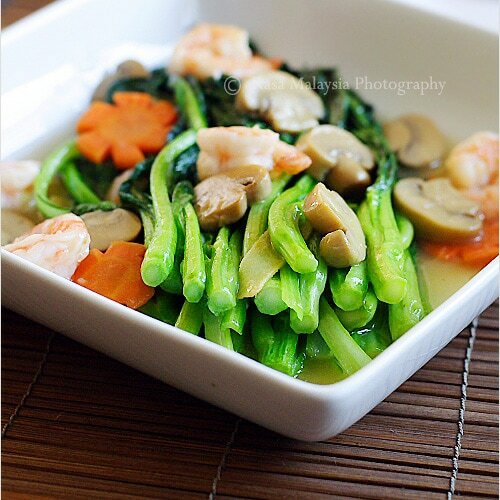 I used choy sum (菜心/油菜心) for this recipe–a very typical Chinese vegetable that you can get in any Asian stores. Choy sum is great with oyster sauce, but an occasional white sauce is awesome, too. If you love Chinese recipes and wish to learn more about cooking vegetables, do master this Chinese vegetable recipe as it’s very versatile and goes well with most Chinese leafy greens. Here is my recipe for choy sum with white sauce. Bon appetit! In Chinese or Cantonese restaurants, Chinese vegetables (choy sum) are often served two ways: brown sauce or white sauce--a recipe I am sharing with you today. Rinse the vegetables with water and drain the water dry. Mix the white sauce ingredients and set aside. Heat up a wok and add the cooking oil until it's smoking hot. 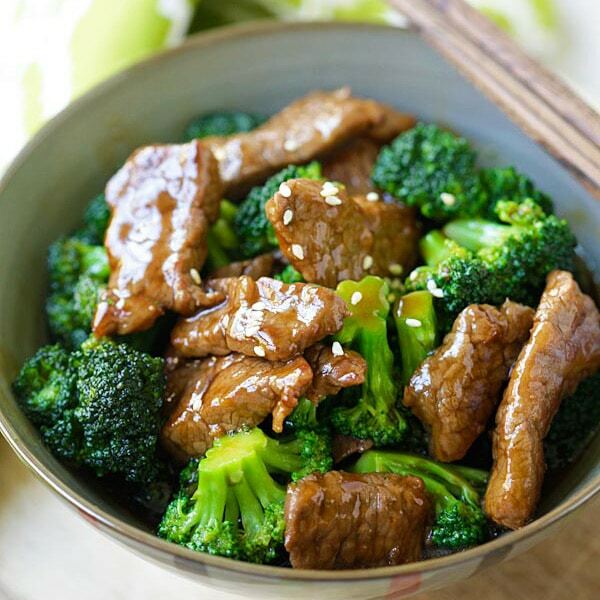 Add ginger, stir-fry until light brown or aromatic. Add mushrooms and shrimp and do a few quick stir until the shrimps become half-cooked. Add vegetables into the wok and stir quickly. Transfer the white sauce mixture into the wok and continue to stir-fry until the sauce thickens. By then, the vegetables should be perfectly cooked, but not overcooked. I have not cooked any Chinese vegetable with white sauce! I must give this a try! Thank you for sharing your recipes. My husband loves the vegetable dishes we get at our local market and always wonders how they make the white sauce. I will surprise him this weekend when I make this for him. Such vibrant colors!!! Looks great! I love choy sum… and gai lan… and on choy… and bok choy…. I think the trick with veggies is not to overcook them. This is also great with some browned garlic and fish sauce with a squeeze of lime.. I find it hard to cook greens. They either get undercooked or overdone in my wok ! When there is Choy Sum in my grocery bag, I usually make Choy Sum soup with fish balls. Choy Sum is a popular vegetable dish because the Chinese believe it is not a ‘windy’ food. Neither is is ‘heaty’ nor ‘cold’. That’s why invalids and mothers in confinement can include Choy Sum in their menu. Looks healthy.. Must try this.. Thansk for your post. Look healty.. Must try this.. Thanks for your post. Choy sum was the first Chinese green I fell in love with; it’s always available at the market, when some others are not, and occasionally I find it at my regular grocery store, too. I am confused…I’m trying to educate myself with chinese vegetables. Does choy sum look similar to bok choy? do they taste similar? I’m going to the Asian store this weekend for serious shopping. love everything u did, but this one is a little lazy no? Suresh – what do you mean by lazy? Cooking is a chore, sharing a recipe with others is certainly not lazy as you think. This Chinese vegetable recipe is a simple and healthy recipe, not lazy. I need a bowl of white rice now!!!! So hungry after seeing your photo!!! Choi Sum is good. I think stir-fry is just great for vegs!! We also have to have some sort of veggie dish (or two) with our meals :) Love the Chinese style ways of preparing veggies! Bok choy is the one I find most often in the markets but I’ll keep my eye out for choy sum as well! Although, I’ll have to disagree with you on one point. In my opinion, vegetables have lots of flavor – in contrast, I tend to find meat pretty tasteless, and in need of spicing up with veggies, herbs and spices. But then again, both my parents are vegetarian, and I’ve also grown up eating mostly vegetarian food. I do have to ask a question. I’ve noticed that a lot of your recipes include fish sauce. 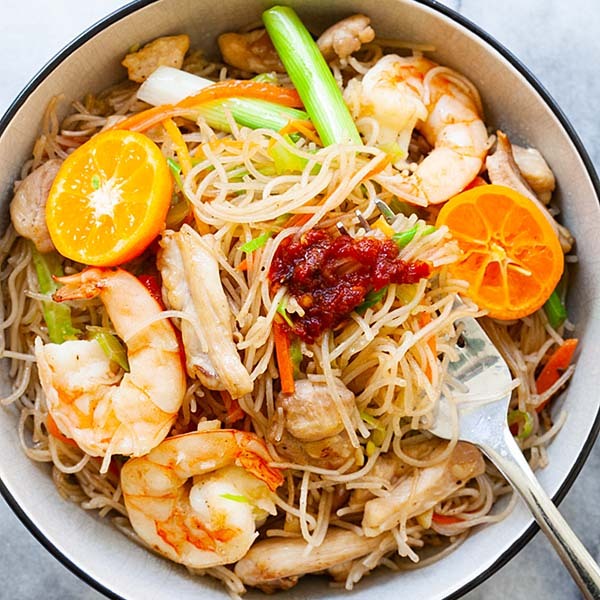 I read somewhere that soy sauce makes a good substitute for fish sauce in recipes, and I was curious about your opinion on that. I think fish sauce is a more authentic ingredient in Thai and other East Asian foods, but I don’t eat seafood, and tend to avoid anything with a fishy taste, so I’d like to know how much that affects the flavor. Magycmyte – you can use salt instead of soy sauce. Yes, sometimes I am tired of eating vegetables because they all taste same. Your vegetables look very colorful and fresh. I forgot which wine to buy at the store and ended up with Shuang Jin Chiew. Can I use this instead? Rather – I’m going to use this instead and let’s see how my dinner turns out. :o) Hope to hear back from someone. PS I love your site, the recipes are wonderful and the photographs are so inspiring! I just cooked this, and it was extremely delicious! Thank you! i’ve been searching around for recipes for broccoli with 3 eggs ( century, salted and normal eggs) and i was wondering if you have any to share? Jeremy, I don’t have the recipe, in fact, I am not sure what it is. Sorry. You mention to add mushrooms and the shrimp, but mushrooms are not listed with the ingredients. What kind and how much, please? You can use a few canned button mushrooms. What is Shaoxing wine ? Can you give me its full name with company details ? Is it Chinese or malaysian Brand ? can you pls give another Chinese food wine name which I can use instead of Shaoxing wine ? Here ,I searched in our big Chinese shops they told me they have a chinese Wine to use in food name is ” Wangzhihe” . I did not buy it becoz it was written in chinese. I took the name and searched in Google and saw that it is Bean curd. If you give me the actual name with company details then I can order in the chinese shops . OR What I can replace if I do not get any wine or Shaoxing wine ? A good news , I found some chinese vegetables in chinese shops . You can do without the wine. Thanks for your reply. Should I use Ajinomoto / Testing salt ? Up to you, sorry I can’t respond to every question you have. You just have to test out the recipe yourself. I’m going to try this recipe tomorrow, I have some càixīn/choy sum here now. I can also help by answering a question, if the site owner doesn’t mind. Susmita, you can replace Shaoxing wine with Dry Sherry (not cream sherry!) on a 1:1 basis. Thanks Rick for answering the question. If you can’t find Shaoxing wine, any cooking wine will do. I do sometimes use whatever I can find in my kitchen, but adjust the quantity accordingly. Hope this helps. Shaoxing is a prefecture-level city in northeastern Zhejiang province, People’s Republic of China where there are several of producers of red glutinous rice wine, hence the name. The wine is reddish in color due to the red glutinous rice used. How many servings does this recipe call for? I don’t normally review blog sites but I have to say that I just tried this recipe today and absolutely LOVED it! Yesterday I found Choy Sum at my groceries which was like finding gold. However, I have no idea how t cook it. When I searched the web I found your site and I still can’t believe how easy it was to cook with this recipe. The result was excellent. I used Mirin instead of the chinese wine and reduced the sugar to 1 tsp. hi,, what can i use as a substitute for Shaoxing wine or any other wine? Rice wine or cooking sake. 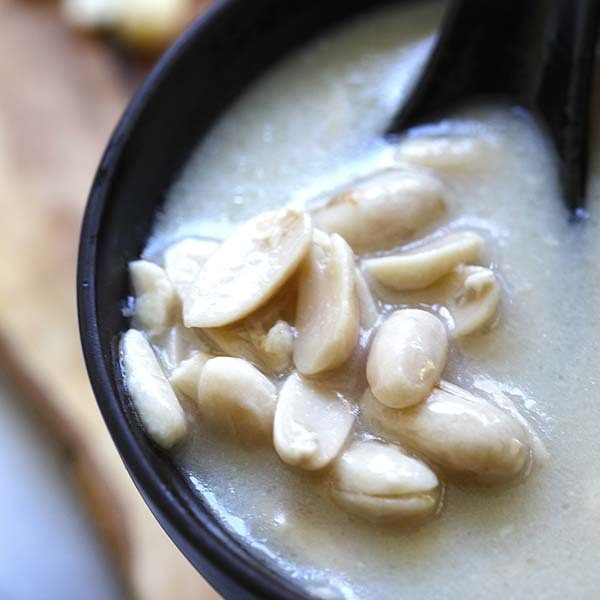 Rasa, You have great recipes I’ll be making so many of you dishes for my wife and self.. Thank you for taking all this time to do this for all of us.. They are available in any supermarket near the cooking section, if not, go to local Sundry shop. Hi! I love Chinese food. And I usually try out recipes in my kitchen. Though most of the times, I wonder how important is it to use Chinese rice wine or rice wine vinegar. Since I am a Muslim, are there any substitutes for the mentioned ingredients? 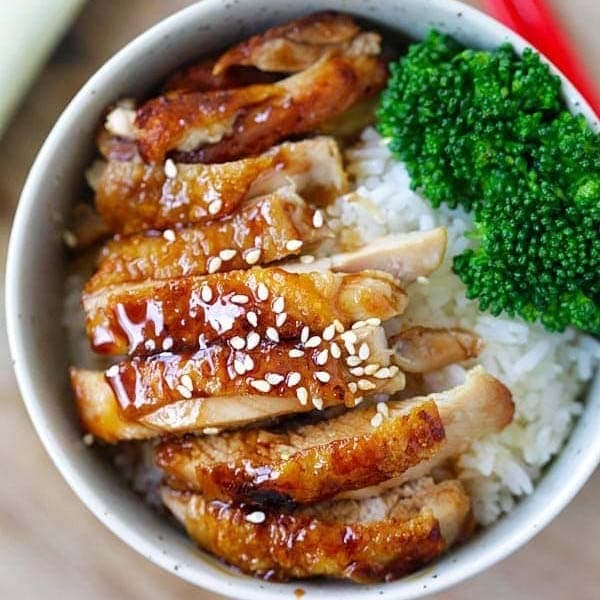 Thank you so much for sharing your recipes and information on Chinese cooking. Is this recipe for 1 serving? Can’t wait to try it! Thanks for the recipe! I’ve been looking for a recipe with the white sauce. I cooked this today and it was very good. I didn’t have the wine so I skipped and our store only had Napa cabbage ( not sure if it is a Chinese vegetable) will make this again! Hi there, is there a reason you omitted smashed or minced garlic here? Absolutely love your work in your tremendous blog! Thanks for sharing your recipes with all of us. Wow. It looks delicious. I love vegetable side dishes. So, I will try to make these very soon. Your recipe will help me. Thanks for sharing your recipe. Just finished cooking this and it was fabulous. Very authentic flavour, pretty too. I know I’ll make this over and over again. Like most Asian Americans in Oakland, CA, I spent most of my time in Chinatown. Now, Chinatown is gone (just a place where white kids play anime dress-up because Japan=China=Fantasy Cartoon Elf Land). I left for SoCal because of gentrification (which started here a year later), and there used to be a vegetables-in-white-sauce dish I used to get whenever I ate there. Those and Cantonese-style BAKED pork buns are the foods I miss the most. I forgot to get fish sauce, but I just made the dish sans that. I’ll add fish sauce to the leftovers tomorrow. It was incredible, and I thank you for the recipie. I see some comments about wanting vegetarian or variation in ingredients. The Chinatown Oakland dish has choy sam, western broccoli, carrots, snow peas, mushrooms. I don’t think cornstarch was used in the sauce–I originally thought it was a broth. I’m not familiar with how to substitute for fish sauce (I grew up on Japanese and Italian cooking, tonight was my first time using fish sauce in a recipie).